WELCOME TO THE RETAIL SITE OF SAHLANEY IRON. 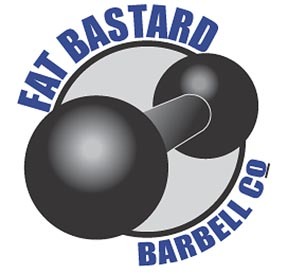 PRODUCER OF TOP QUALITY CAST GRIP AND STRONGMAN EQUIPMENT. THE TOMAS INCH DUMBBELL IS ONE OF THE MOST PRESTIGIOUS FEATS IN THE GRIP WORLD. AT 172 lbs AND A 2.5" THICK HANDLE FEW MEN CAN EVEN BREAK THE BELL OFF THE GROUND WITH ONE HAND. UP AND COMING GRIP MASTER, JAKE SAHLANEY, HAS WORKED WITH A LOCAL DETROIT FOUNDRY TO PRODUCE QUALITY DUMBBELL'S WHICH REPLICATES THE INCH IN EVERY ASPECT ACCEPT ONE: WEIGHT. WITH THAT JAKE AND FBBC ARE PROUD TO ANNOUNCE PRODUCTION RUN OF THE SAHLANEY LINE OF INCH DUMBBELLS. Bells are held in a limited stock. It's just a large investment in space and capital for them to sit. If bells are available for immediate shipment they will be noted above. Please note 4 out of 5 bells are made to order. Thanks for understanding this is all an effort to keep the costs down as much as possible.